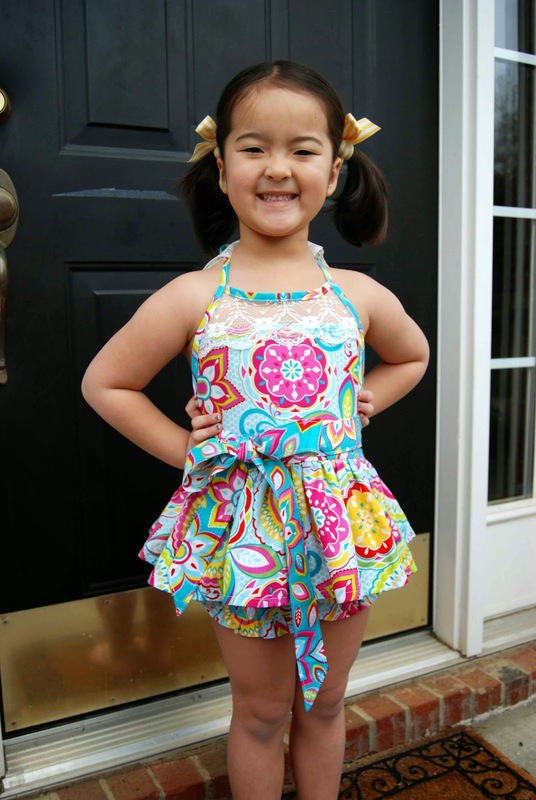 PDF sewing pattern designer, Megan, of Made for Mermaids is at it again....! This time with the Lily Lace Top/Dress/Romper!! So, so, SO cute!!! This dress is a show-stopper! The Lily Lace Top/Dress/Romper can be dressed up or dressed down. 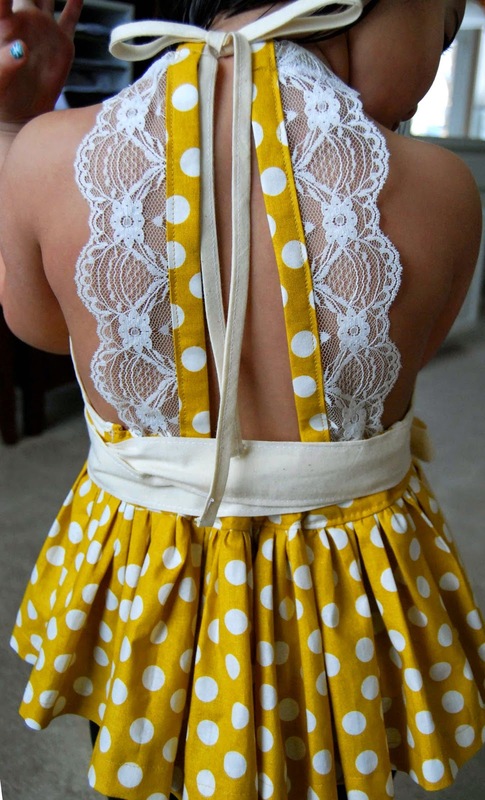 It would look darling as a flower girl dress, don't you think? -The Lily Lace Top/Dress/Romper comes in sizes 1/2-14. That's nice big size range! Plus, there's a baby version AND a Dolly version (purchased separately). -The Lily Lace Top/Dress/Romper features a lace bodice detail, halter ties and double lace back straps. 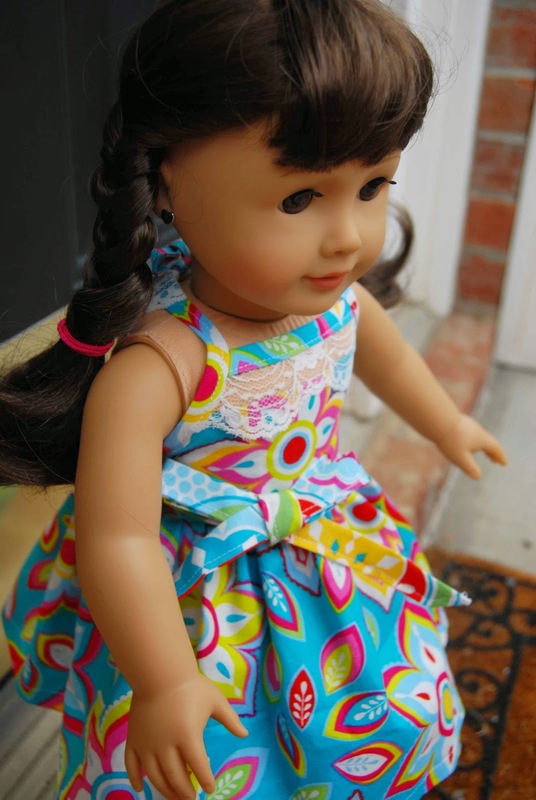 -The Lily Lace Top/Dress/Romper includes instructions to do a) Top, b) Dress, c) Maxi Dress, or d) Romper. So many cute options! -A nice, long waist sash is meant to double around the midsection and create a perfect side bow. The pattern looks just as good without the sash, too! 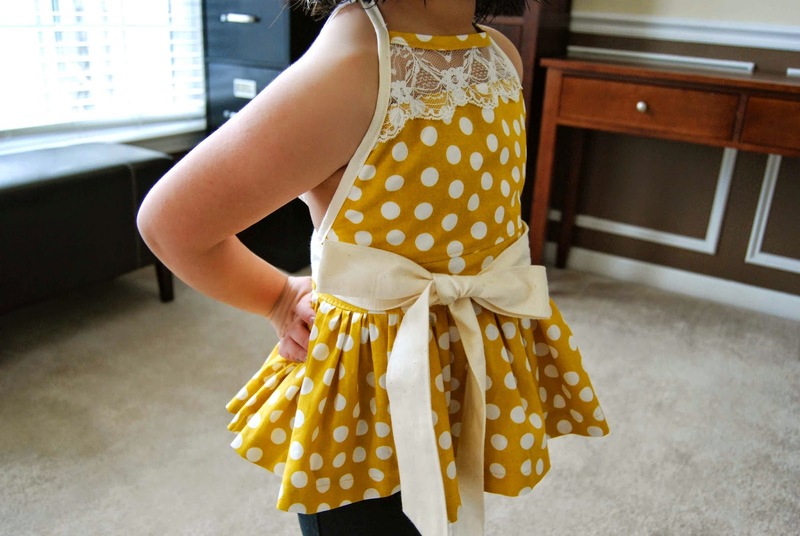 -For the Top/Dress option, the skirt uses the width of fabric, so it's nice and full! I was asked to sew up a size 5t Top. 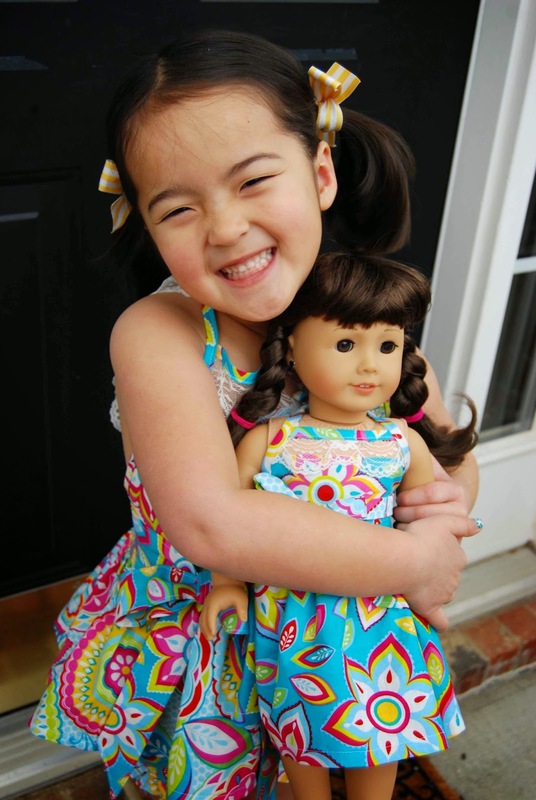 I not only sewed up one top, but I ended up doing two tops, plus a Dolly dress! 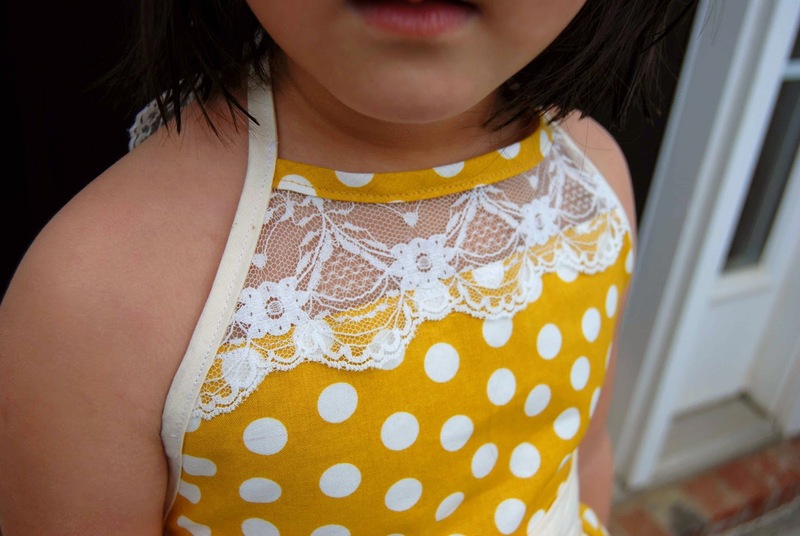 Plus, Lil' Miss has already requested another Lily Lace Top/Dress/Romper in maxi length! The Lily Lace Top/Dress/Romper has lots of coverage on both the bodice front and sides. We went through several rounds of testing to get everything JUST right! I really appreciate that Megan works really, really hard to make sure that the fit, pattern pieces and tutorial are perfect! THANK YOU!! 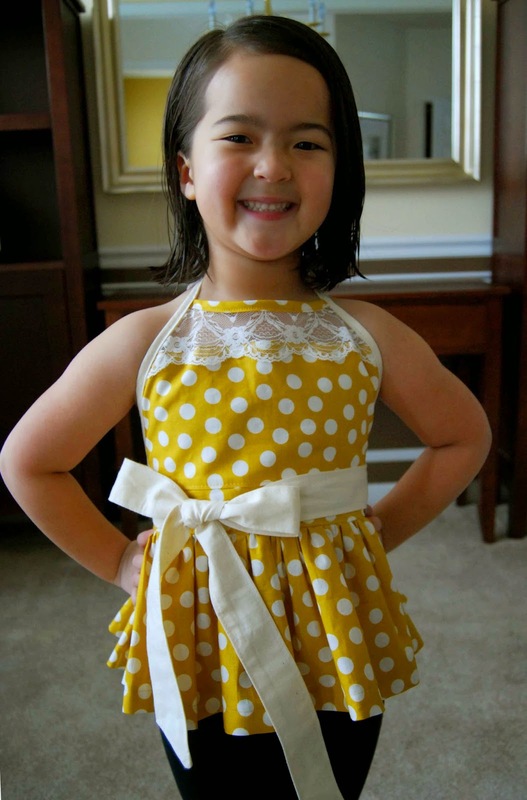 While the dress construction may seem daunting at first, the tutorial walks you through each step with pictures and descriptions to make sure you know how and what to sew. Once you complete this dress, you'll fall in love! Now, hurry to Made for Mermaids to purchase the new Lily Lace Top/Dress/Romper! Thank you, Megan, for another great pattern. Sew much fun! !